Tarp or tent? You decide! Inspired by the lightweight needs of Nat Geo adventurer of the year, Andrew Skurka Read more..
We designed the High Route Tent to the specifications of Andrew Skurka, a National Geographic "Adventurer of the Year" and Sierra Designs ambassador. Skurka wanted a single shelter that he could use year-round. The High Route Tent, at just 2.75 kg for the fly and nest, is light enough for mild summer trips. With its double-wall design and porch-able doors, it can manage intense bugs and high humidity. And it is suitable for harsh 3-season and moderate winter weather, due to its shape and palatial interior. The High Route Tent is most unique for its offset poles and vertical doors. These features maximize the usability of interior space, allow for ventilation even when the shelter must be closed up in stormy weather, and keep the poles out of the entrance ways and sleeping area. Poles not included. You can find the Sierra Designs Accessory Poles here. 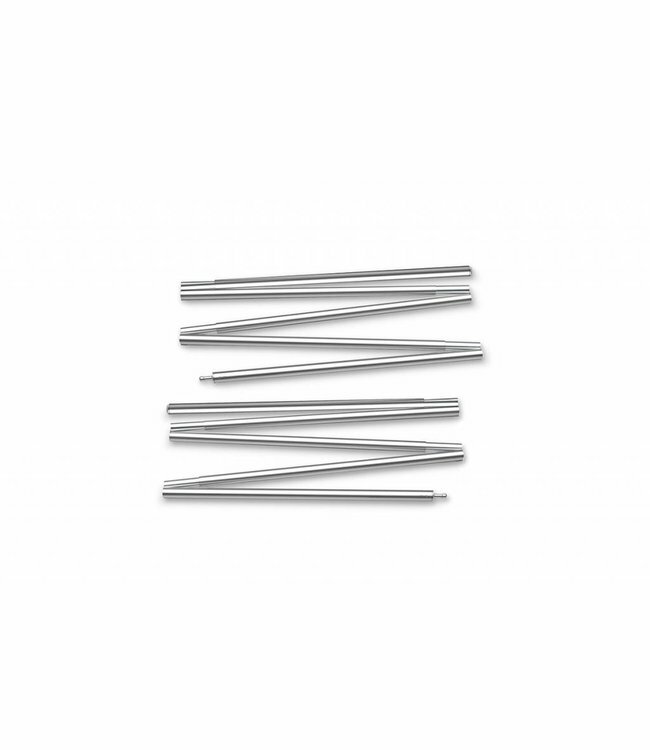 Lightweight poles for the Tensegrity 1 & 2 (FL and Elite) an..